What does Red Dead Redemption 2 have to do with a growing transformation of country music that has caused the music industry to grapple with the limits of genres? Not a lot, but the rabbit hole is fascinating. Atlanta Rapper Lil Nas X released “Old Town Road” last December. 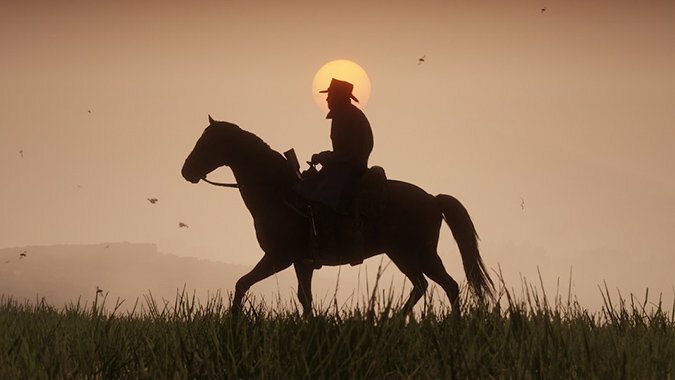 It’s a short song that features banjo samples, sub bass, and lyrics like “Yeah, I’m gonna take my horse to the old town road / I’m gonna ride ’til I can’t no more.” The song blew up when it was only on SoundCloud and YouTube, the latter of which is a video that features clips from Rockstar’s Red Dead Redemption 2. One of the videos that features the cowboy open world game has over 23 million views, seven times the amount that the game’s launch trailer has. Much of the song’s popularity comes from the popular app Tik Tok, where people would “accidentally” drink “Yeehaw Juice” and break out in cowboy attire while dancing to Lil Nas X’s track. The song rocketed up Billboards music charts under the country label, until it decided that it doesn’t “merit inclusion” under that genre. Billboard told Genius that “Billboard’s decision to take the song off of the country chart had absolutely nothing to do with the race of the artist.” The question was asked because black artists are often kept out of genres like pop, rock, and country despite creating music that should otherwise fit alongside other similar songs. Drake, for example, doesn’t like that “Hotline Bling” won a Grammy for Best Rap Song when he believes it was clearly a pop song. Today, Lil Nas X — now signed to Columbia Records, complete with Red Dead Redemption font welcoming him there — released a remix of “Old Town Road” with indisputable country man Billy Ray Cyrus. Cyrus sings the opening lines and later about spending a lot of money on his brand new guitar. People love it of course, but everyone is wondering if the addition of Cyrus will get Billboard to reinstate it on the country charts. This entire saga has part of a larger transformation of country music and cowboy-themes that black artists are incorporating into their music and lifestyles. “The Yeehaw Agenda” was coined by Bri Malandro and has spread out — mostly unattributed to her — across the internet. Lil Nas X’s “Old Town Road”, the yodeling Walmart kid, Fallout 76’s use of John Denver’s “Country Roads”, and even non-music releases like Red Dead Redemption 2 have inspired a whole new set of artists taking a genre and making it their own.